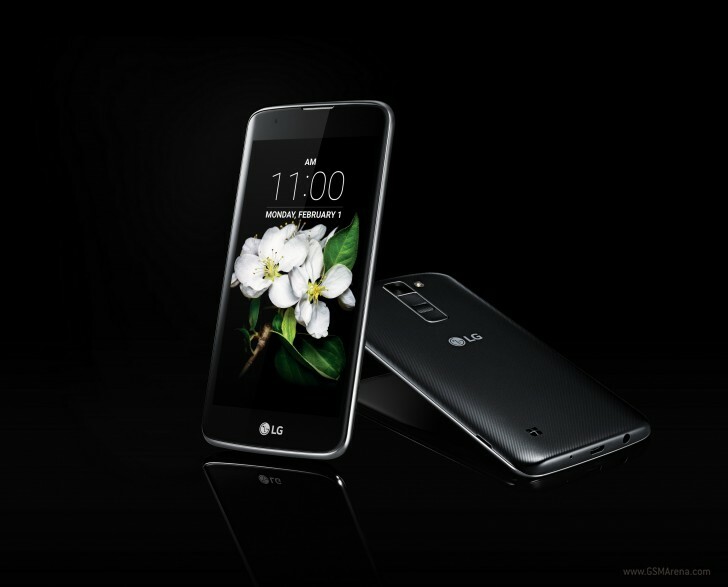 LG unveiled it's new K Series line of affordable smartphones today with the K7 and K10 smartphones. The K Series replaces the now defunct L Series, is meant to bring premium traits to its midrange and budget line. The K Series devices all use LG's new glossy pebble design language and a 2.5D curved glass. The LG K7 is a 5 incher smartphone, with a resolution of 854x480 pixels. 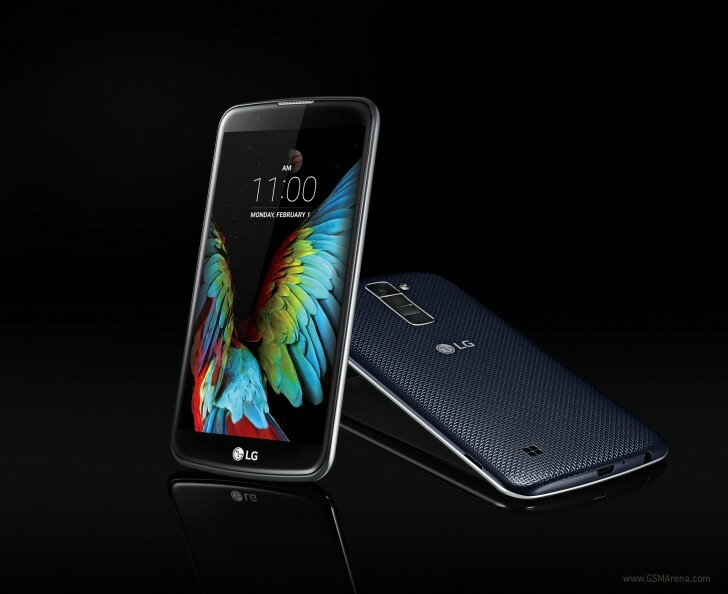 The LG K7 comes in two variants, a LTE model and a 3G model. The LTE model is powered by a quad-core 1.1GHz processor and while the 3G is powered by a quad-core 1.3GHz processor with a 2,125may battery. The LG K7 comes with a choice of either 1GB or 1.5GB of RAM depending on the market. The resolution of the main camera is either 8MP or 5MP and varies by the market, while the front camera is rated at 5MP. The LG K7 is available in memory options of either 8GB or 16GB. The 3G version is available in white, black and gold while the LTE version is only available in 'Titan' hue. 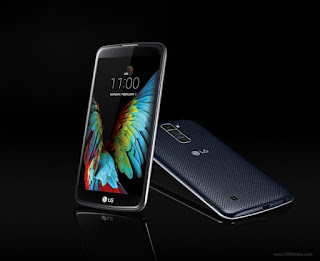 The LG K10 sports 5.3' HD display, and is powered by a either 1.2GHz or 1.3GHz quad-core processor or a 1.14Ghz octa-core for the LTE option, While the 3G variant of the K10 comes a 1.3GHz quad-core processor and a 2,300mAh battery. The LTE option comes with a 13MP main camera while the 3G version has to make do with an 8MP camera. The front camera could either be 5MP or 8MP, the RAM varies from 1GB, 1.5GB to 2GB. The internal memory could either be 8GB or 16GB. The color options for the K10 are white, indigo and gold. Inasmuch as I would like to applaud LG on these devices but the sheer amount of variations among these devices might leave these devices in the update limbo common among budget Android devices. I wished they had gone the Motorola route.